You know it’s a big fish when photos of you holding the catch actually look fake. 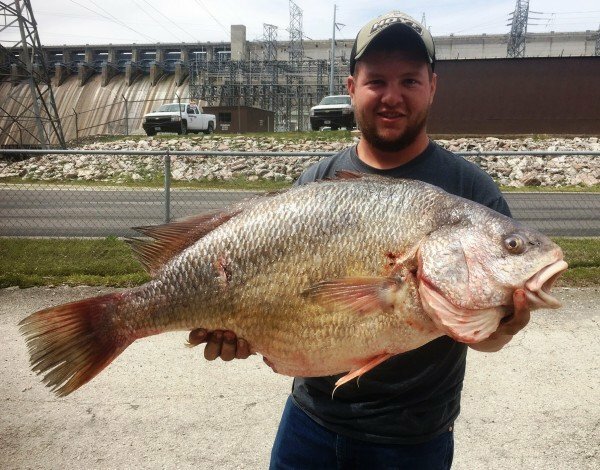 When the Missouri Department of Conservation recently released photos of Joshua Cole holding a 30-pound drum fish, it caused some to wonder if that sucker was even real. Wildlife officials confirmed the fish Cole caught broke a state “alternative method” record. Cole shot the fish with bow and arrow around 10 pm, saying it took two arrows to haul it into the boat. The previous record for alternative-method was set in 2008 for a 26-pound 8-ounce drum fish caught on the Lake of the Ozarks. Cole caught his on Table Rock Lake. Missouri officials say March was a great month for record-breaking fish with three other state records broken in recent weeks. “This just goes to show you that conservation makes Missouri a great place to fish.” said MDC Fisheries Programs Specialist Andrew Branson.